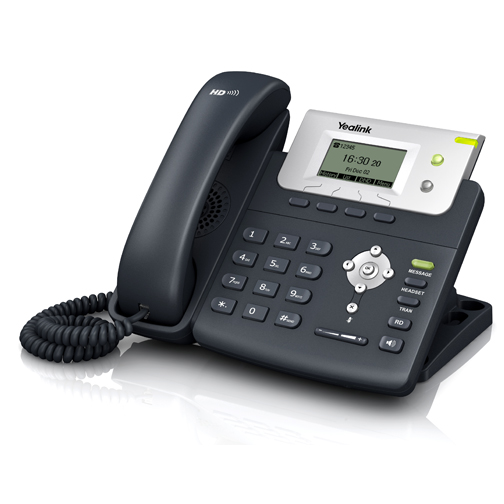 Attached to this article is a quick setup guide for using your Yealink T21PN phone for use with Gradwell services. Please note that if you have purchased your phone from Gradwell you have the option to have an extension setup on the phone when it is despatched to you - all you need to do is connect the phone. Unpack the phone and plug the handset into the bottom port on the left hand side of the phone, and an Ethernet cable into the port labelled Internet on the back of the phone. The Yealink T21PN supports PoE (Power Over Ethernet), and if this is enabled on your network then the phone will power up. Alternatively, you will need to purchase a suitable power cable to power the phone. If you purchased the phone from Gradwell, then after a few minutes the phone should restart with your extension set up on the phone. (Only necessary for phones not purchased from Gradwell or for adding extra extensions to your phone). The easiest way to configure the phone is using the web interface. For help accessing this please read this article. After logging in you will see a status page. From the top menu select Account. On this page you enter your extension details. You will need to know your seven digit extension number and password. If you don't know your extension password please read this article for information on how to reset it. Once the settings have been entered, click on the Confirm button - the phone will then reinitialise. 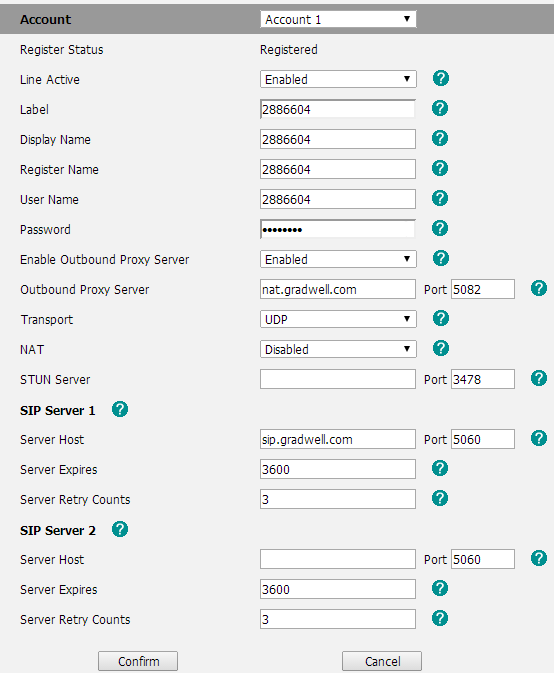 If you purchase your Yealink handset from Gradwell we will automatically change the default web interface password on the device. Therefore the password to access the web interface will be different to the one in the user manual. Please read this help guide for the password we have set on your device.